New Whole Foods Market in North Vancouver Nails It! 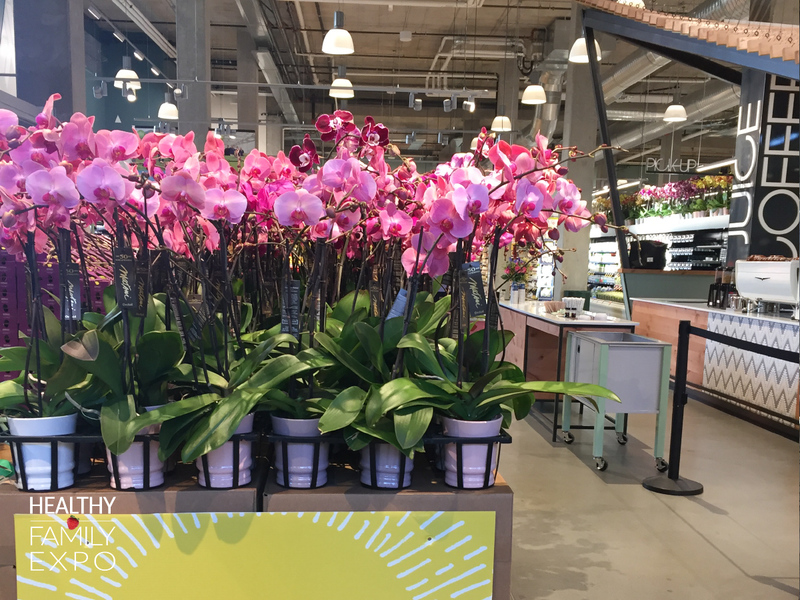 We like to think that we’re not easily won over, but let’s face it… Whole Foods Market North Vancouver just opened and they had us at “Hello”. We love all the North Vancouver elements that have been incorporated into the store. North Vancouver’s history as a shipyard town is reflected in the design of the light hats at the check stands, the bridges at Capilano Suspension Bridge Park were the inspiration for the architectural elements over Customer Service, the mountains, forests and sky are reflected in the store colours, and steel beams and copper throughout the store speak to North Vancouver’s history of being a shipyard – did you know it was originally called Moodville?! The store is fresh and inviting! You know you’re in for a treat when you feel the warm welcome at the front door. This isn’t just grocery shopping, this is an experience. All aspects of the new Whole Foods Market store hold to their traditionally high standards. The floral department offers Whole Trade flowers, which are grown according to strict criteria for ethical trade & earth-friendly farming, and are the highest in quality. Plus,they work directly with local growers. Whole Foods Market North Vancouver has a grind-your-own nut butter station, featuring almond and peanut butter. Such a great healthy option and the kids will love to help! From nuts and seeds to grains and flours, you’ll find close to 200 items in the bulk department. We love being able to buy bulk – it makes it so much easier to try new recipes when you can get just what you need & know that the quality is there! Local meat & seafood treated right. While we are trying to go meatless more often, it’s great to know that we can buy local Western Canadian beef from Northern British Columbia & Alberta. And that the 5-Step Animal Welfare Rating System puts the power in our hands to support better lives for farm animals. Don’t see something you like? Just ask and they can help find the perfect meal solution. P.S. They grind all of their sausages in-house! Think apple cranberry or habanero green chili. YUM! The wild-caught seafood is certified sustainable by the Marine Stewardship Council or rated either a green or yellow by the Monterey Bay Aquarium. F.Y.I. the fishmongers will fillet whole fish, skin and debone, peel and devein shrimp, and shuck oysters at no extra charge! Great place to meet friends! Inside the store you’ll find the Iron Keel serving up snacks, shares, and made in house sandwiches. They have 12 taps, featuring BC beers, cider, and kombucha! So get your shopping done while you eat and catch up with friends…multi-tasking win! Have you ever tried mochi? It’s kind of the dumpling of the ice cream world and it’s amazing! Enjoy this self serve vegan ice cream filled treat in Vanilla, Chocolate, Strawberry, and Salted Caramel. Priced individually, and made from all vegan ingredients. 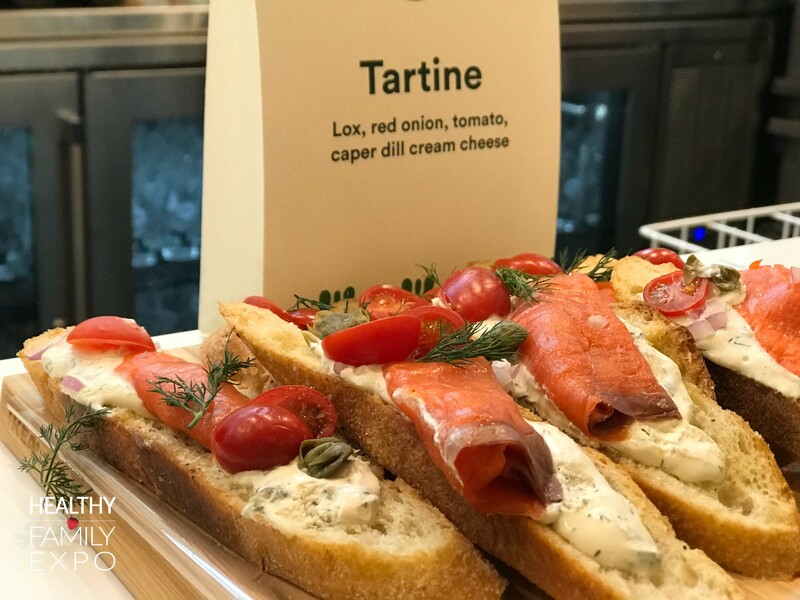 Have you been to the new Wholefoods Market in North Vancouver yet? Let us know what you loved! I’m excited to try the Mochi! I went to visit on the opening day. Gonna go back to try the orange juice machine! Excited to see all the fresh treats! I want to check out the vegan mochi. That sounds really good. My kids would want to try the Vegan Mochi, so I will say that! Looking forward to checking this store out and enjoying a healthy lunch with my kids! I love the mountains decorating elements. 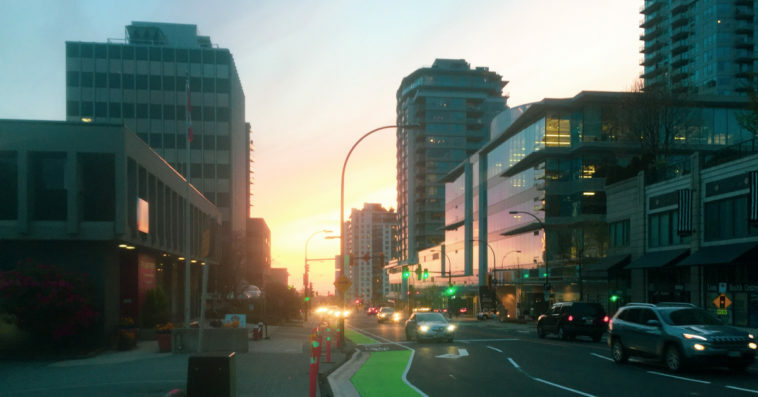 Especially the large green north vancouver sign at the top of the stairs. Love this new store it’s beautiful. I look forward to trying the chocolate covered waffles and the nut butters. Fresh ground nut butter, the best. Will be stopping in for that for sure! I can’t wait to check out the huge bulk section ! I do a lot of baking and home cooking . The nut butter bar and the mochi bar are pretty epic! Can’t wait to check it out in real life. Oh! I need to try everything at the Mochi Bar!!!! The store looks so fresh & clean! I like that the produce is near the elevator to the parking garage since I mainly shop there for the produce. BC Cider while shopping sounds fabulous to me! And nut butter bar for the kids! Looks amazing. Can’t wait To try their mochi bar and see all the fresh foods. If I am ever in that area, I would love to check out the nut bar and the vegan mochi. Can’t wait to check out the nut bar!! Love to check out kids section and healthy icecream section . Congraz! Kombucha on tap!!! I love it. Can’t wait to try it. I can’t wait to try the nut butter bar! Love the ambiance. I like it that they incorporated the north shore feel to it. We love the mochi and will try the nut bar on next visit. Oh man!! Id love the Mochi! A friend and I went to dinner one time at a japanese food restaraunt and he ws raving about the Mochi … Only to find out they didnt carry it anymore. I am going to check the nut butter bar ! The nut butter bar looks cool! I’m so excited about the nut butter bar! that’s really cool! Looking forward to visiting the store and giving it a try! In-house made apple cranberry sausages sound yummy! I’ll be trying them! I am excited to visit the nut butter bar at this new North Vancouver location. First I want to take in the architecture as it sounds amazing. I can’t even imagine, I need to see it in person! Whole Foods Robson has been my favourite store for years. very excited to check out the vitamin aisle! As I work just up the street, getting salads and lunch items will be my go to. Love the healthy lunch options – tried the burrito bowl yesterday and it was delish! So many yummy treats to try! Can’t wait to see the flowers! I can’t wait to try the nut butter bar, vegan mochi, see the archetechture, try items from the deli… So much! I would love to try the butter nut bar. I’m curious about it. Wow, it all sounds great, but the architecture and Mochi icecream sound spectacular! We are most excited about the location, just ten min down the road!!! Also the take and bake pizzas have saved me on more then one occasion. The Nut Bar looks amazing! Reminds me of one I used to go to downtown when I was a kid! Looking forward to checking out the nut butter bar. Love the whole prepared foods area – quick healthy dinner in a pinch! …and beer & wine in the cafe! I am very excited about the grind-your-own nut butter station!! Such a great idea to make healthy eating fun and enjoyable! Thanks for this great giveaway!! The nut butter bar looks so fun! Kombucha on tap? Butter nut bar? Fresh local seafood? And mochi? I might have to move in!!! I’m excited for the breakfast station. Best bacon EVER and as a mom of 3 living in Deep Cove I could never make it out to the West Vancouver location in time! So I’m coming for you bacon!!!!! 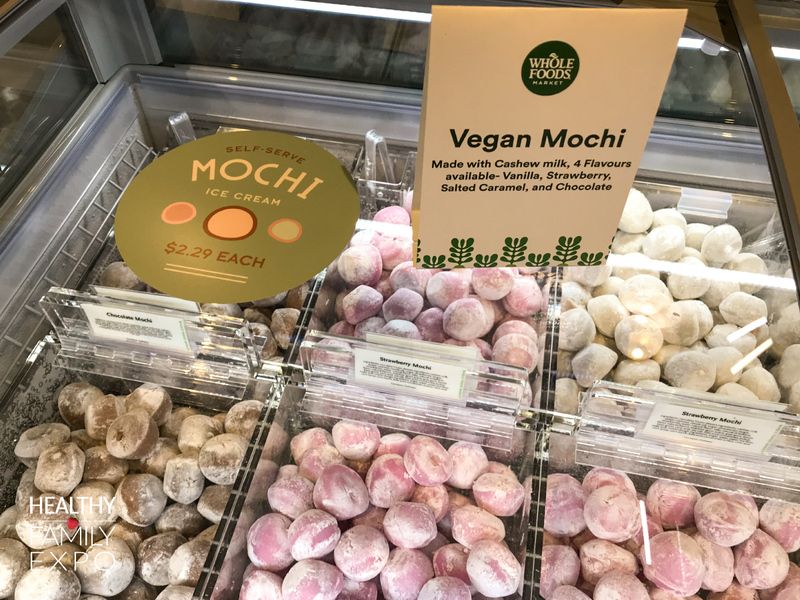 I am so excited about the vegan mochi ‘ice cream’ – it sounds delicious!! Never seen a nut butter bar before…should be exciting! Hard to pick one, but probably the nut butter so my son can see how it should be made! Self serve mochi bar sounds awesome! The made to order WAFFLE BAR! I love the monster cookies and the great fresh fruit. I need to go see the bulk section and the nut butter bar! I can’t wait to try the mochi!! Yum! Oh my I’m super stoked about the nut butter bar! So excited for the nut butter bar!! Would love to try the nut butter bar! The nut butter bar is awesome! 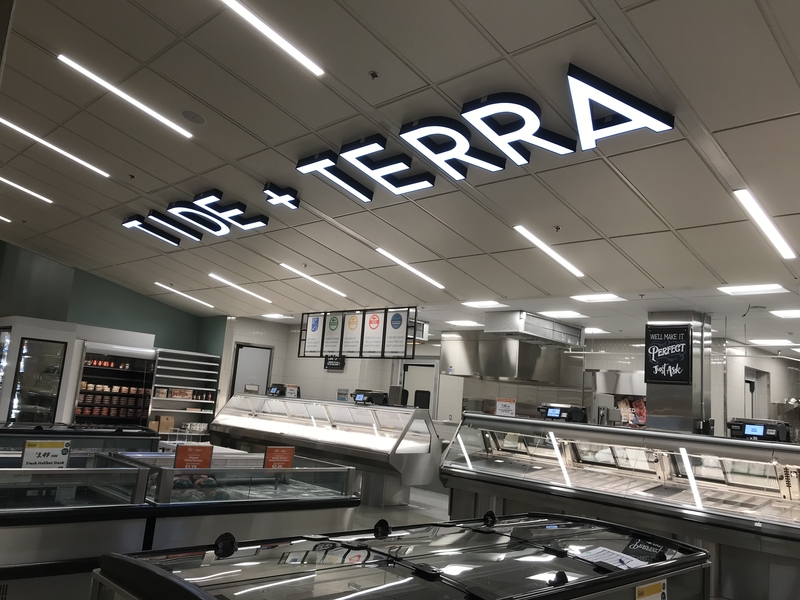 I look forward to checking out the seafood counter! Mochi 😍 Nut butter bar sounds great as well! Looking forward to checking out the newest whole foods and all the local links to Nirth Van! I always love floral departments…looking forward to this new one! The waffle and nut butter bars look amazing!! Can’t wait to try them out!! 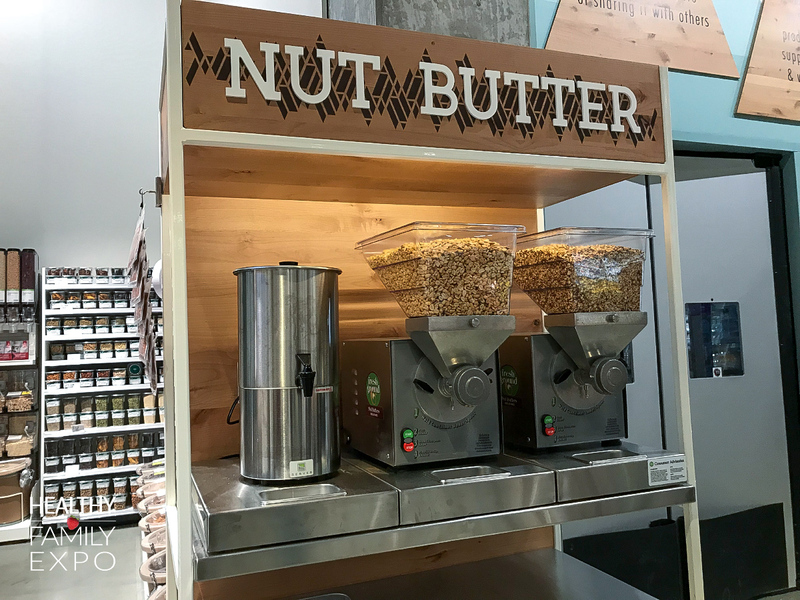 I’ve never heard of a ‘nut butter bar’ – I have a feeling we would want to check that out first, and make some fresh almond butter! Excited to check it all out! I have not been in as yet so will be interesting to see everything that is available. I can’t wait to check out the local Seafood! Have to try the nut butter bar! Can’t wait to try the soft serve vegan ice cream!!! I’m excited to try out the vegan mochi! The nut butter bar of course! Fresh seafood and monster cookies! I am excited to try that nut butter bar!!!!! I’d like to try the nut bar but any tasty treats are on my list! Nut butter bar all the way!!! Want to try that mochi bar! The Nut Butter Bar looks amazing! Would love to try the chocolate mochi! My favourite is the organic shea butter for my toddlers eczema. Love the idea of the Iron Keel Bar – local beer, cider and kombucha – yum! Can’t wait to visit the nut butter bar and local meat section! Excited to check it all out….especially your BC ciders and healthy meals! uhm all of the FOOD!!! Iron & Keel sounds amazing!! Looking forward to checking out the salad bar.